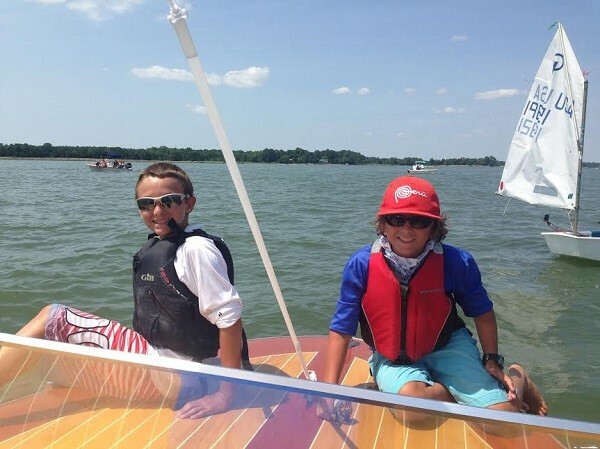 Twelve year-old brothers Jordan and Sam Bruce started racing three years ago at the Annapolis Yacht Club. 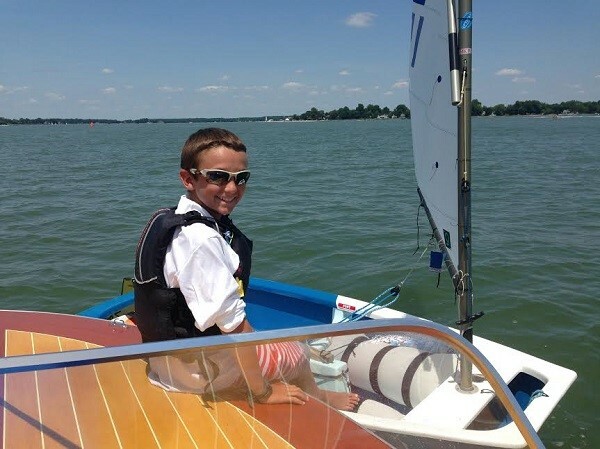 What started as a summer camp activity has turned into a passion for the young sailors. Though they train and compete together, they’re reaching for their goals for different, personal reasons. Sam and Jordan Bruce, respectively. When did you start racing? Why? Jordan Bruce: I started racing at the Annapolis Yacht Club in 2011 when I was 9 years old at summer camp and I soon realized that I loved the competition. Sam Bruce: At first, sailing was a fun activity during the summer, but after I started going to winter regattas such as the Orange Bowl, I realized it was something I wanted to participate in more seriously. Where and how do you train? JB: For the last two years, we’ve trained almost every weekend in New York with Sailstrong Youth Racing and coaches Peter Strong, Leigh Kempton, and Scott Norman. This fall, due to the large increase in school work for seventh grade, we started training at least two weekends every month in New Jersey with the Colie Elite Race Team (CERT) and coach Clay Johnson. We also practice locally as much as possible on weekends and after school at Annapolis Yacht Club with coach Tomas Ruiz. We are US Development Team members and try to get to as many USDT practices as possible. JB: My favorite part of racing is the competition and the people I meet while sailing. SB: My favorite part of racing is the reach in medium wind and waves, when I am in the front of the fleet. I like this scenario because I can surf waves without the whole fleet upon me, and it is a good time to pass other boats. JB: The hardest part of racing for me is the first leg, because all the decisions made in the first leg, such as the favored side of the course and playing puffs and wind shifts, affects the rest of the race more than anything else. SB: For me, the hardest part of racing is the stress and the anticipation of a big regatta, since it can destroy someone’s performance before it begins. It is always so important to keep a clear head and minimize stress before a big event. What was your biggest failure? What did you learn from that experience? JB: My biggest failure was getting two black flag disqualifications at the 2014 Team Trials in Stanford. The second BFD eliminated any chance of going to IODA North Americans, and I did not make the US National Team, which was a goal for the regatta. I learned that pushing too hard to get one great race can take you right out of the regatta. SB: My biggest failure was at Team Trials 2014, where I received a measurement penalty after I finished third in a race. The penalty pushed me from 15th to 20th overall, but luckily I still qualified for the IODA North Americans. I learned that you have to be very careful and observant and should check everything that could be involved with a measurement check because you never know when you will be called over to the measurement boat. What’s been your greatest success? What did you learn from that experience? 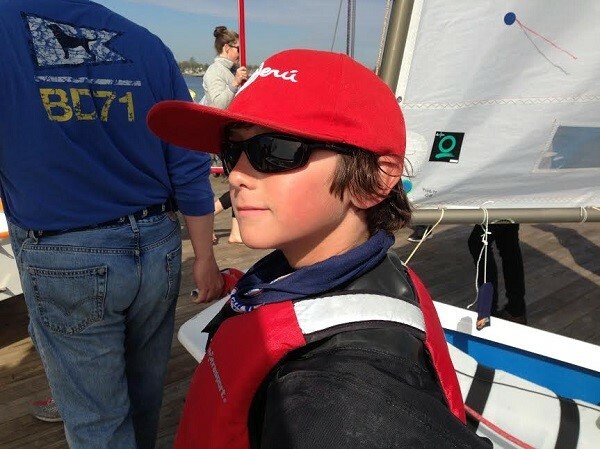 JB: Last summer I participated in the Youth Sailing Exchange and went to Barcelona, Spain to sail for three weeks. While there we went to France, and I placed 14th overall in the French Nationals. From that experience I learned that consistency is better than a bullet. SB: My greatest success was at the 2013 Atlantic Coast Championship at the Seawanhaka Corinthian Yacht Club in New York. I was very consistent there despite the shifty wind conditions, and it gave me an edge over the competition. I learned that you don't have to go to take big risks to win every race, but if you consistently sail in the top ten, you will always perform well overall. What are your sailing strengths? JB: My strengths are starts, when I am not over, heavy air down winds, and gaining as much as I can on the last upwind beat. SB: My strengths are my upwind sailing, and my ability to come back from a mediocre or bad start. JB: I started using the Quantum Radial Light sail in the spring of 2013 while preparing for team trials. I switched to the Radial Light because I needed a new sail and, after testing the sail, I liked it very much. The Radial Light was faster for me because I could change to setup for almost any condition. Last spring, I outgrew the Radial Light and changed to the XR-1 Green after testing it for several weeks. SB: I started using the Quantum XR-1 Green in the spring of 2014 in preparation for team trials. I switched at the suggestion of my coach, because my previous sail was getting too underpowered for me as I grew, and the XR-1 Green was the right size. JB: Quantum sails have helped my racing a lot by improving my speed, pointing, and racing in light and heavy wind. SB: The XR-1 has helped me with my speed. Before I switched, I could point really high, but wasn't going as fast as I was when I was lighter. After I switched, I was going as fast, or faster, than the competition. The XR-1 has also helped me because it has a wide range of power between the fastest, most powerful setting, and the most de-powered heavy-wind setting. This helps because I can deal with practically any wind condition with just simple tweaks. Who supports and encourages your sailing? How? JB: My parents support my sailing by driving me around and buying me equipment. Also, I have been lucky to have the support of many great coaches. SB: My parents support my sailing more than anyone else. They make sure I get practice time with the right coaches. They also wake up at 5 a.m. every other Saturday to drive me to New Jersey for a CERT practice, and waking up at 5 a.m. and driving for three hours takes real dedication. Do you have other interests beyond sailing? JB: When I am not sailing, I play the drums, soccer, and other sports, and enjoy all water activities. SB: My non-sailing interests include playing flute in my school band, playing guitar, waterskiing, paddle-boarding, biking, archery, soccer, and swimming. The next step for the Bruch brothers is Team Race Midwinters in New Orleans, then off to Palamos, Spain with Team USA in February. Good luck!